A little data is a beautiful thing. I’ve been on the Board of Directors of the Princeton Club of Michigan for the last several years. Although I live in Ann Arbor, I’ve traveled to Birmingham, Novi, Detroit, and elsewhere for meetings. In my time on the board, we have not held an event in the Ann Arbor area. Well, the Princeton Alumni Council shared some basic demographics about the club with us. 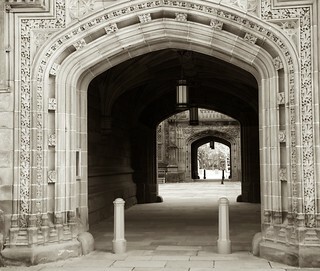 It turns out that about one-third of all Princeton University alumni in Michigan are here in Ann Arbor. So, we planned a happy hour right before Halloween in downtown Ann Arbor. Halloween is also the best time to wear orange and black Princeton gear. We were pleased with the attendance, and it could not have been easier for me to attend. I didn’t have to cross I-275 or take 696. I just had to dig out my orange beer jacket and find a place to park downtown. For a membership organization, locating events near our membership helps encourage attendance. It sounds like a “duh” but because most of the leadership was from the Birmingham area…that’s where we put most of our events. We just didn’t have the data and were basing our decisions on habit and our personal preferences. Hard data helps decision-making. Ever wondered why the theme color of this blog is orange? Now you know ;). In late 2012, I pre-ordered Daniel Pink’s book To Sell is Human. One of a set of five gifts/thank yous for pre-ordering was a Field Notes memo book, stamped with To Sell is Human on the back. I read To Sell is Human, and I used the memo book. I am a journal keeper, and I like Moleskine journals (among others). I like to take my journal from start to finish, and I resist starting other notebook-y things and diffusing my writing efforts. As a consequence, I haven’t always known what to do with little memo books, and yet I found a use for this one. I carried it in my purse. It served me well at those times I needed to jot something down on the run – especially when taking out my phone to add a task/send a message would have been awkward. I use it differently than my journal. The memo book is a temporary holding place. It’s kind of like a written RAM that gets cleared away. I won’t keep the old one, and I keep journals forever. My new Field Notes pack! Daniel Pink’s cobranding/partnership/product-placement/whatever-it-was worked. 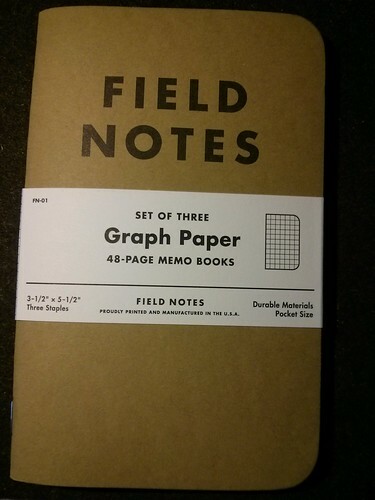 Now I’m hooked on Field Notes’ graph-ruled memo books. I just received my re-up, this time I chose the kraft paper cover. And I think of Daniel Pink and how we’re all in sales every time I reach for it, even though “To Sell is Human” is not stamped on the back of this one. I just completed some go-to-market research for a scientifically-oriented business-to-consumer company. In this research, one of my tasks was to assess consumer sentiment and project possible customer loyalty for a new product launch. Things like customer-lifetime-value, ecommerce conversion rate, and loyalty would be wonderful to have from our competitors, but these KPIs are closely-guarded secrets. While I loved spy novels as a teen, I am not up for corporate espionage. I do not need to break into competitor website analytics to uncover insights into consumer behavior. I asked consumers about their buying habits and loyalty directly, online. My research on online consumer surveys turned up two options – Survata and Google Consumer Surveys. I believe I had heard of Google Consumer Surveys and then found Survata by searching for competitors of Google in the consumer survey space. Both show a short survey to give a reader access to gated content. Both offer a handful of questions for a buck or two a completed survey. Both help publishers monetize their visitors. Both offer geographic, age, and gender targeting, which happens, I imagine based on the target demographic of the content on the gated sites. Both survey engines offer visualization help to understand your survey answers, including visualization of subsets within your answers. Both survey engines provide some sense of statistical significance of any trends in the data. Both require prepayment to run the survey. When I started earlier this summer, Google Consumer Surveys did not offer the chance to have a qualifying question. So if the website visitor met your demographic criteria (say a certain age, your specified gender, maybe your region of interest) they answered your surveys. If you wanted males under the age of 45, great. If you wanted males under the age of 45 with small dogs, not so great. Since then, Google has added a qualifying question option. The survey client (me in this case) only pays for respondents who answer the qualifying question correctly (e.g. people who answer yes to having a small dog). Google’s restriction is they need the qualifying question passed at a minimum amount, otherwise they bounce the survey back to you. Apparently, my qualifying question was too stringent. Google kept my payment for the survey and issued me a coupon in lieu of a refund. However, since I don’t want people who don’t meet my criteria to answer my survey, I’m a little stuck as to how to use the coupon.I would have preferred a full refund, so I can get my questions answered at Survata! [edited 10/22 – Google issued me a refund for the incomplete survey]. As far as I can tell, Survata does not have a minimum response goal for the qualifying question. In fact, I used the same qualifying question for both the Survata and the Google Consumer Survey so I anticipate its success rate was similar in both environments. Survata did not bounce my survey. The two survey engines are both inexpensive, but Survata is less expensive. For a 5-question survey, I paid about $1/response for US respondents from Survata. The qualifying question was not included in the question count. Google Consumer Surveys includes the qualifying question in the count, and I paid about $2/response for US respondents for 4 questions after the qualifier. I had a great experience with Survata. Prior to each survey launch, I got feedback on my questions and setup from a survey analyst. The analyst edited my survey, and I got to see the before and after version and approve it before launch. My analyst was available to me via email, in my survey dashboard, and via IM throughout the process. I also had a follow up call so that I could understand the survey results and get a quick orientation to their visualization engine when the survey was complete. I ran a handful of surveys and was able to work with the same analyst rather than starting anew each time. Google Consumer Surveys did a review of my questions ahead of launch as well, but the experience was less caring. I got a basic email detailing what was wrong with my survey and telling me what to do to fix it. Google Consumer Survey edit request email. Survata’s help was more helpful – they did the work for me and asked for my approval. Google made me their admin. I liked the user interface, question previews, and results analysis engines for both survey vendors. Publisher Network – Advantage Google? I imagine with Google’s reach and reputation, Survata has stiff competition. I have not encountered a Survata survey on a website. I did see my first Google survey yesterday, on the Christian Science Monitor website. In case it’s not obvious, this is not my survey, though it is relevant to my home state, Michigan. Google Consumer Survey encountered on the Christian Science Monitor website. The survey engine (user interface, options, everything) for both Survata and for Google Consumer Surveys changed during my project. So, this review is a snapshot of an evolving set of features. Right now Survata has a strong edge in customer service. I had a good relationship with my survey analyst and a positive experience with the company. My experience with Google was more at arm’s length (only email, always from someone new) and ultimately unsatisfying due to their rejection of my survey after taking my money. [edited 10/22 – Google issued me a refund for the incomplete survey]. Short version: I strongly preferred my interactions with and the results I got from Survata.